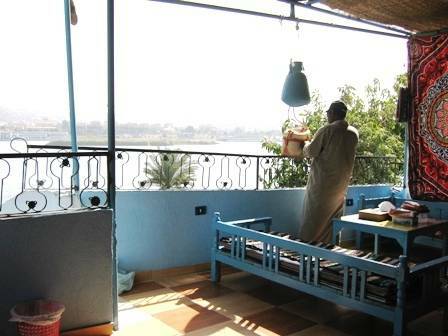 Chez Aisha is near the ferry boat to the center of Aswan, right on the river Nile. This makes staying at Chez Aisha unique. You can sit there all day if you want and watch the water, sail boats or drink a cup of tea with the friendly and hospitable Nubians. You'll feel right at home! Restaurant, transport, excursions to the sites in and around Aswan, with a professional local guide (Egyptologist) if you want. Bike rental, camel trips, boat trips etc. * as well as a camel trip in the Nubian desert. * A day trip to the world famous temple of Ramses in Abu Simbel. * And it’s possible and not expensive to use the swimming pools of most of the hotels in Aswan. 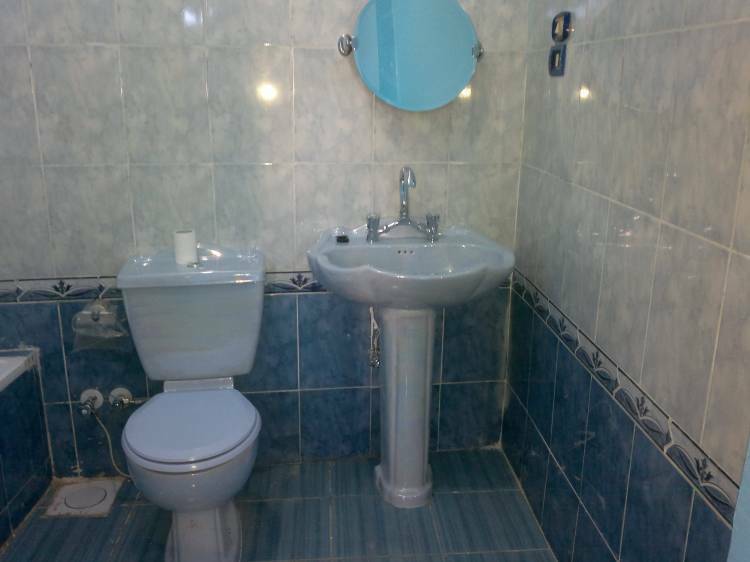 The building has 2 rooms both with private bathroom (bath, toilet, sink) and each room has it's own balcony. 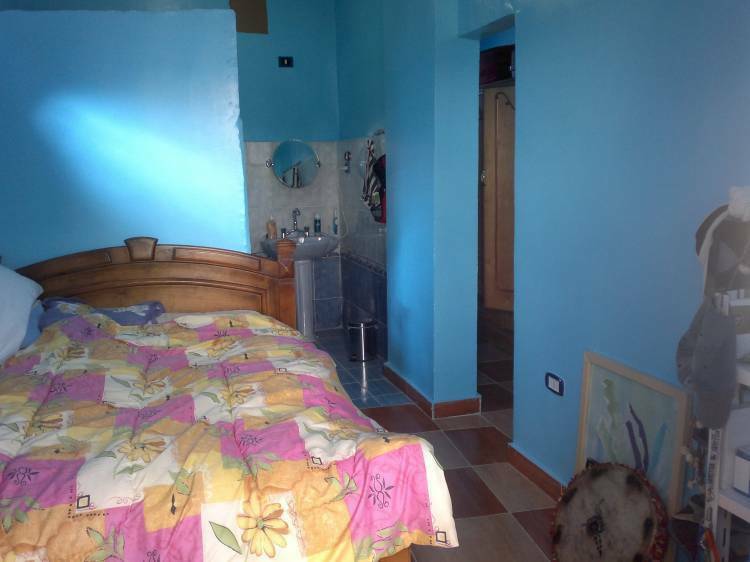 1 room has a double bed and the other room has 2 single beds. 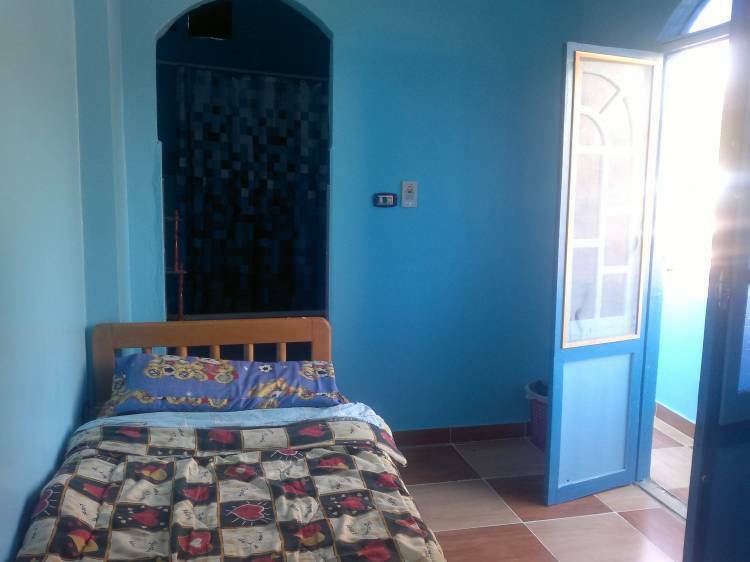 Both room have it's own entrance/key. 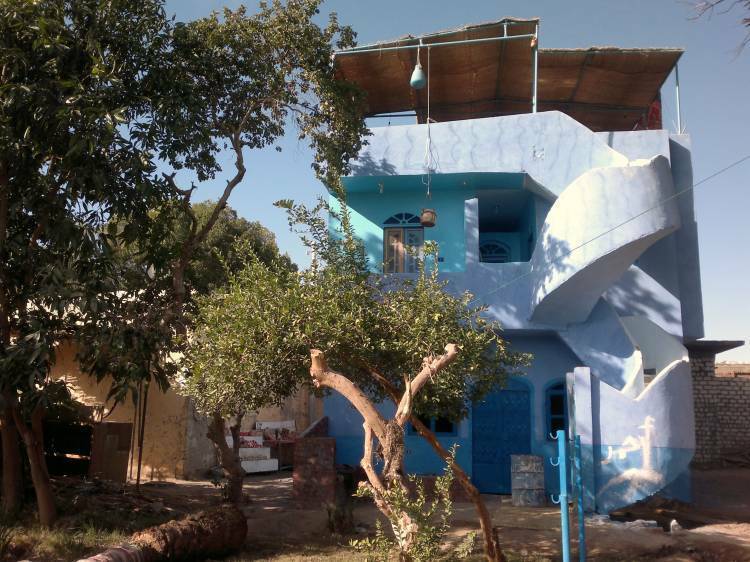 The West bank is quiet and staying in the village means living with the local Nubian population (in pharaonic history "the black pharaohs"), who will welcome you as one of them, not as a tourist. 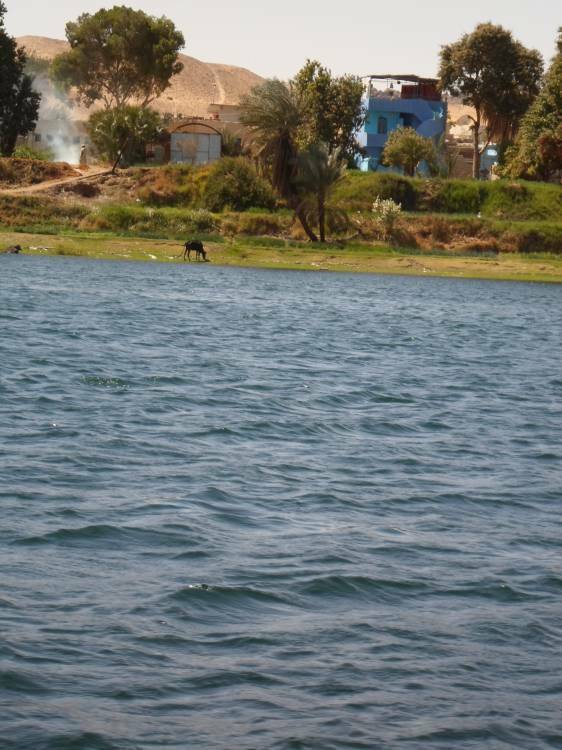 Although it is opposite Aswan centre, living in a Nubian village feels like being far away from the mass tourist resorts. This is highly appreciated by our clients. They learn about the Nubian culture and traditions and find back what is lost in the modern European life style: a relaxed atmosphere and a warm social community life. Railway station, Aswan international airport. We do arrange airport transfers and boat transfers.